If your church is small, you don’t need a full-blown website, there are other solutions that can suit your needs, which I may describe in a later article. This article is mainly for churches or people that engage in studying about the faith of Tenrikyo. By having your materials and information online, people can share and let others know about it. Commenting, if enabled, can be a great source of feedback from users. We are no longer in a world where we simply receive words coming from one or a few sources; we interact with each other by sharing ideas. If people like your messages on the website, they can easily share it with their friends using a simple link. Also, just by posting information about upcoming activities and sermons, your ideas will reach other churches and individuals. If we get more people sharing ideas, we can progress in missionary work and advance our understanding of the Tenrikyo teachings. I think that any important point is having the ability to communicate with followers of your church and Tenrikyo followers in general. And having your own followers see the good things your church does can be very encouraging to them to stay involved as well. Having a website for your Tenrikyo entity allows people to see that it is active and serious in its mission and general functions within your respective communities. I’m sure that when a stranger hears your church name, their next logical step would likely be to google it just to see what comes up. If you keep up with regular updates, people can see that your church is active and likely encourages those who have not shown up for a while to participate . 3. Be exposed and found. Unless you have a very private and secretive way of doing missionary work, having a website would allow you to be found by anybody and viewed by the public. Imagine someone who is curious about your church; a website can provide a window for people to take a look at what’s inside. Without it, people might walk away because you are only relying on how your church looks like from the outside. How many people do you know really knows how to go into a Tenrikyo church? Can anyone who is curious just simply walk in? Who do they talk to? What kind of services does your church offer? I can imagine that these are questions that are simply inquired, but nowadays, people expect to find it on a website somewhere. By having a website, it will allow, at least, a little amount of transparency to a relatively unknown religion. 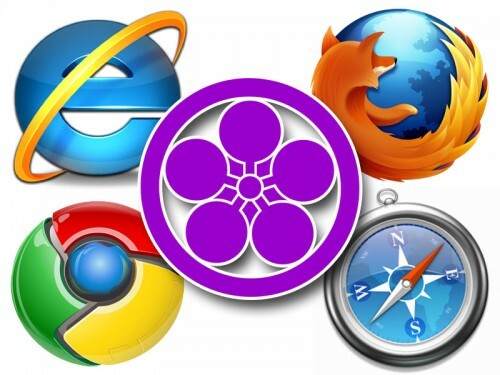 Having photos and news about Tenrikyo can allow people from the outside have a better idea of what Tenrikyo is and a collection of websites can help mold a positive image and increase the presence of Tenrikyo online. 4. Be green and paperless. I am strongly against the use of printed materials to distribute information. We are in an age where nearly everyone has access to to computers and knows how to use them. These days, establishing a digital solution to the printed newsletters and books is relatively cheap and very accessible via blogging services (i.e. WordPress, Blogger). Printed media costs more and uses more time and resources that could be put to better use. Imagine news or information being distributed without copy-editing, printing, folding, mailing, and purchasing 20 pounds of paper a month. Then have a small percentage that is likely left unread and completely wasted. With many teachings directing followers to be frugal and not be wasteful, it is only natural that we utilize solutions that avoid putting more material waste into this world. However, I will go as far as saying that printed media has its uses and audience, but it should used very sparingly and avoided as much as possible as to reduce paper waste. 5. Be modern, go digital. By building a website, we are actually taking part in society and joining the movement of information to the Internet that is especially lacking in the area of Tenrikyo. I’m not trying to spout off to everyone that a website is the ultimate solution to spreading the faith of Tenrikyo (or any faith for that matter). A website is only a tool that assists in the work that missionaries do. Missionaries and head ministers may have their own methods of missionary work that does not need to rely on websites, so I’m not going to argue with that and beat them on the head about building a website. I created this list to show the reasons why you or your church might want to build a website; if these are things that you don’t want or need, a website is probably not for you or your church. I should also be clear that a website does not replace people. You might build a website, but don’t rely on it. You can only make the truth of the teachings self-apparent to the local community by interacting with people in your communities in person. A website is only something to support what you do outside.